In times of adversity we all try to arrange for cash in the best possible manner. Converting your investments into cash is one of the formats we believe in to get the cash in the easiest way possible. Gold is a liquid investment that is readily accepted and sold in the market in exchange for cash. And hence the exchange of cash for gold is a solicited choice. 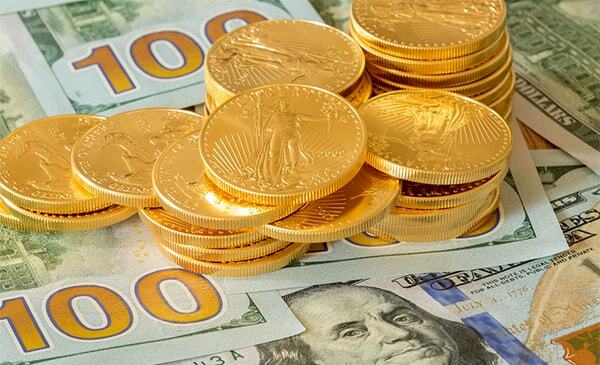 Here is what you need to know before exchanging gold for cash! A licensed dealer is one who is licensed by the regulated authority for dealing in gold and silver. They have accurate assessment processes, calibrated scales, daily chart, certain policies and reliability attached to them. They are perfect to make dealings of gold and silver to buy or sell them in market. These sellers offer the best of prevailing prices and don’t deal in any compromised products. For making small arrangements from gold, particularly like the gold coins and silver dollars, the idea is to pick someone who deals on a daily basis. Daily dealers take the daily prices into consideration for sale or purchase in a day. They deal with the coins or jewelry exchanges on a daily basis making it easier for the customers to approach and make a deal. Gold is popular for two reasons, the value of the metal and the numismatic value of the item that you hold. For rare coins, rare jewelry items or fine craft the value increases multifold sometimes. Getting a numismatic value is essential to derive the real value of the form of gold you are selling. It helps get a fair price of the product taking into consideration all its aspects. Not all sellers allow of genuine purchases. It is important to find a dealer who is ready to pay the price of the gold fairly. For a fair exchange to take place the values are shared with the customers both on the numismatic scale and the weighing scale. It is only after due consideration that hones sell or purchase is undertaken. If a seller only chooses to pay for the weight or something less than what is deserved, it is ideal to not choose these dealers. When exchanging cash for gold, ensure that you are paid a fair price for the amount of gold you are willing to exchange. A fair deal is what should be looked for!